Celebrate your special occasion with a difference! 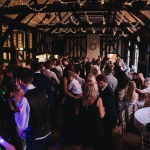 Our 200 year old Barn is like no other venue within Essex, with its exposed beams & open fireplace this venue is full of character. Our Veranda which over looks beautiful scenery and wildlife, is a great additional feature which certainly will give you & your guests WOW factor. 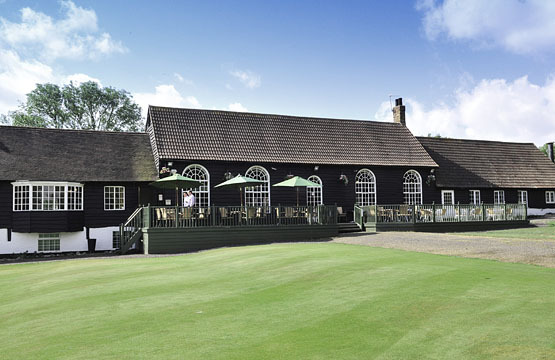 Here at Maylands Golf Club we host a range of events, including private celebrations, Wither you are looking for a venue to host a Birthday Party, Anniversary, Prom or if you would like to have a sit down meal with your friends and family, we can cater to your requirements. 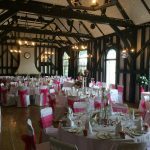 The Main Hall can host up to 120 for a sit down meal or 180 for a standing reception. Complete with its own private bar and decorated with twinkling fairy lights, this space is ready for any occasion. Adjacent to the main room is our small Hall. This room is designed for more intimate affairs and would suit those who would like to host a sit down dinner or smaller children’s parties. 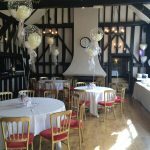 The room can take up to 50 guests for a sit down dinner or 60 guests for a standing reception, this room also comes with a smaller private bar and fairy lights making it the perfect space for smaller celebrations. Our Veranda is stretched over the two spaces and can be used with either of the two halls or used alone. It is perfect for outdoor events and BBQ’s! We host many champagne receptions and celebrations during the summer and often book summer BBQ’s for up to 200 guests. The possibilities at Maylands Golf club are endless. We welcome anyone who is interested in hosting an event with us and we hope to book you in & create something memorable. For more information please contact Vicky, our Wedding and Events Manager who would be more than happy to discuss your event further.